This set of two double old-fashioned glasses feature a delicate stylized design of waterlilies, common in the tranquil ponds of the Midwest. 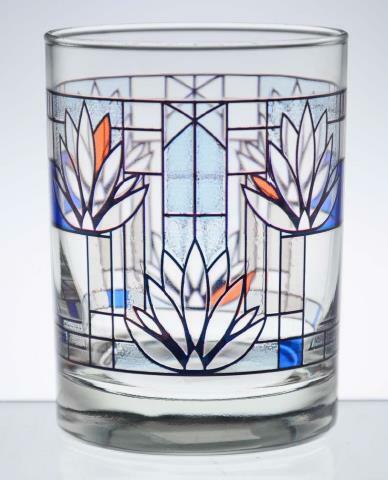 Frank Lloyd Wright created the design for an art glass screen it 1895, but it was never produced. Top rack dishwasher safe. 14 oz.